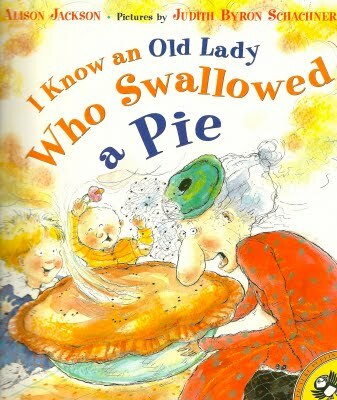 Summary: I know an old lady who swallowed a pie, a Thanksgiving pie, which was really too dry. And with that the feast begins! After the pie the old lady swallows a whole squash, all of the salad, and the entire turkey! Bring in a wishbone from a turkey and place it in a jar. Pour some vinegar into the jar to cover the wishbone. Leave the wishbone in the bottle for 3 days. Remove it and feel it. It will feel and bend like rubber.